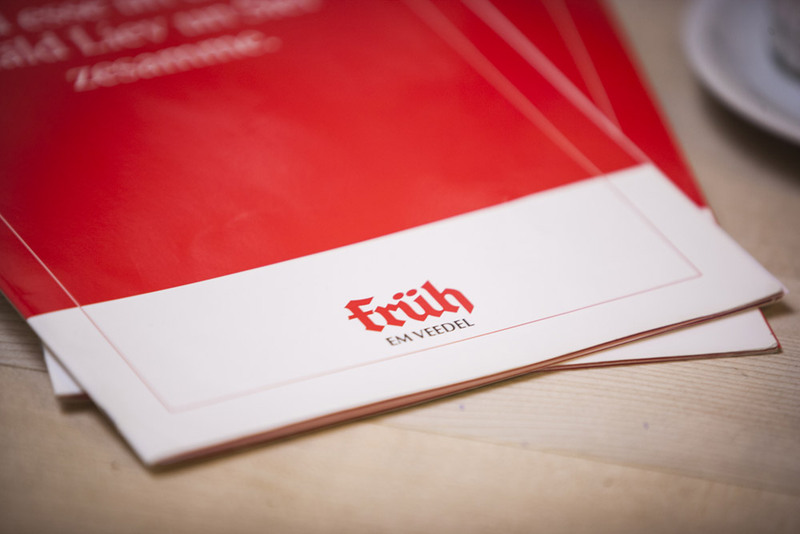 We are proud of the unique variety of FRÜH gastronomy. 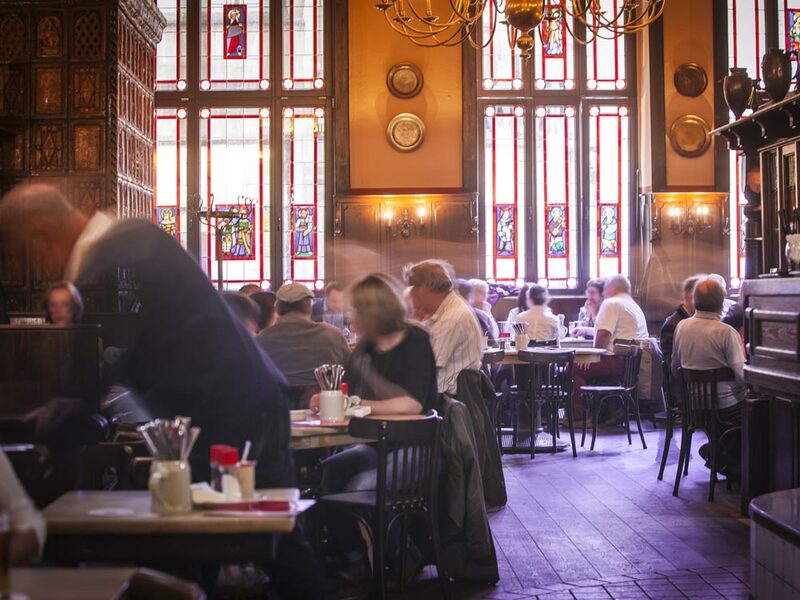 For Cologne residents as for international guests from all over the world, the Brauhaus Früh am Dom is a popular place to experience Cologne's hospitality. 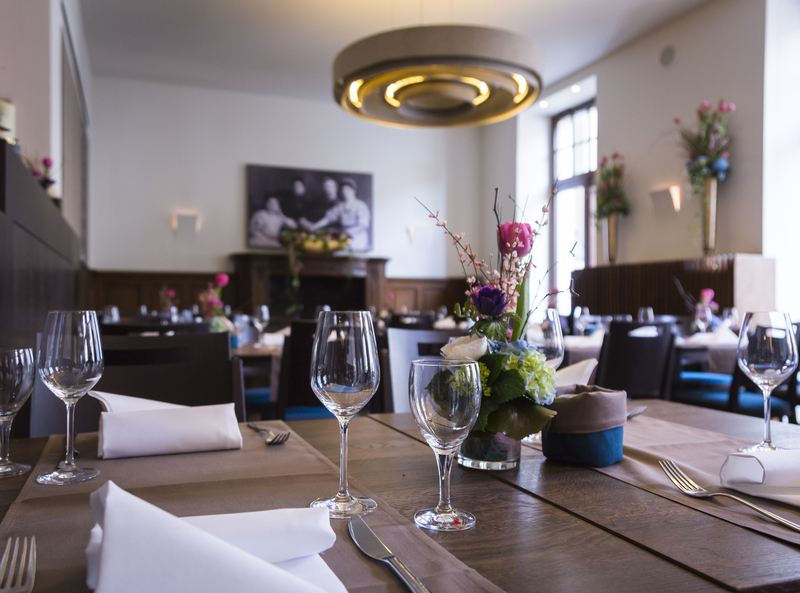 In the historic buildings right at the Heinzelmännchenbrunnen (Brownie Fountain), we not only offer traditional brewhouse gastronomy, but also the modern HOF 18 Restaurant for superior tastes and the neighbouring Eden Hotel Früh am Dom. 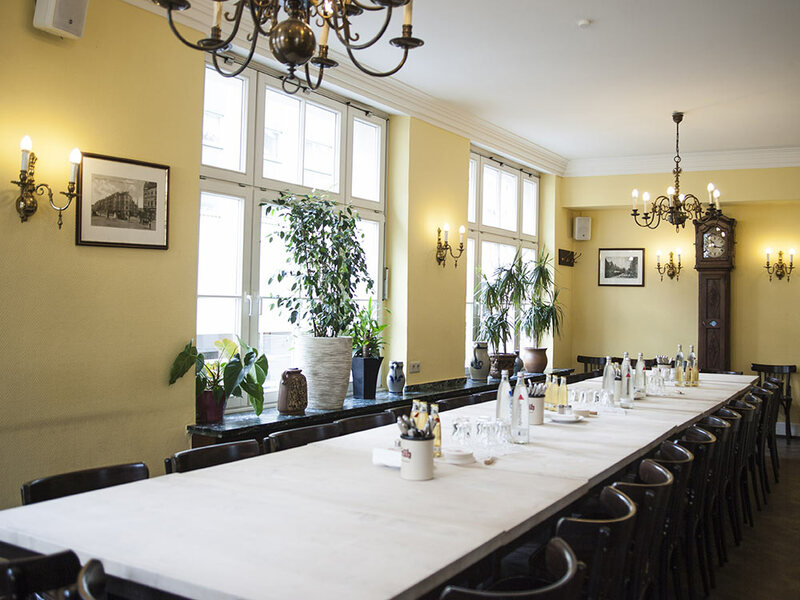 We offer many rooms for your events and celebrations, as well as 4 conference rooms and an exclusive event location over the roofs of Cologne directly overlooking Cologne Cathedral. 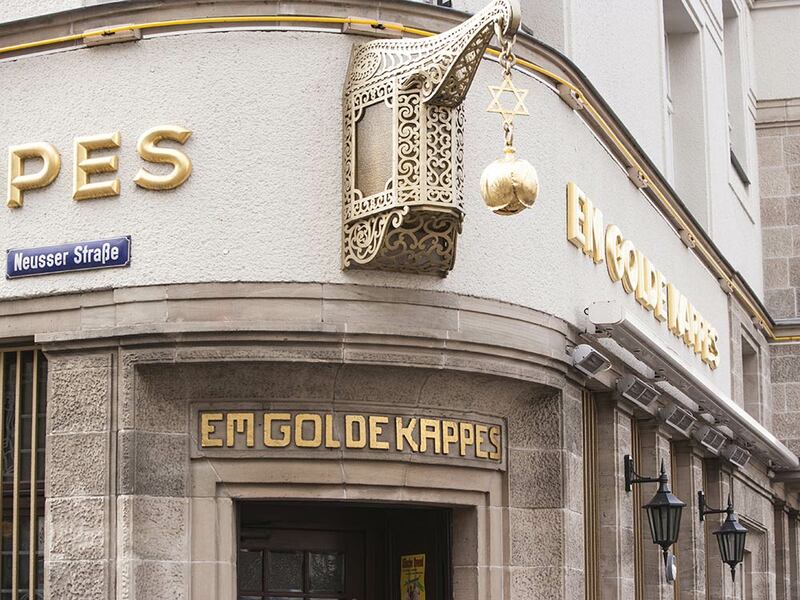 But we don't only welcome you in the heart of Cologne. 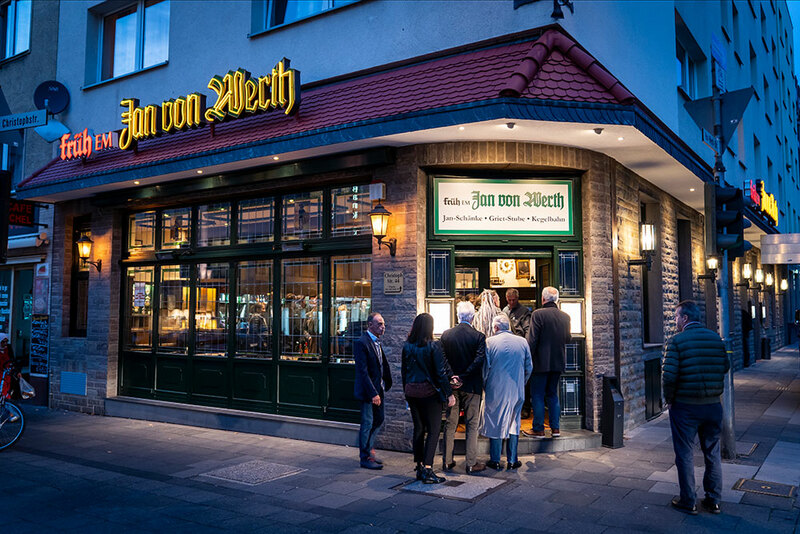 We also welcome you to our traditional pubs FRÜH “Em Golde Kappes” and FRÜH “Em Veedel” in the south and north districts of Cologne, as well as at the "Jan von Werth" near the Gerling-Quartier. 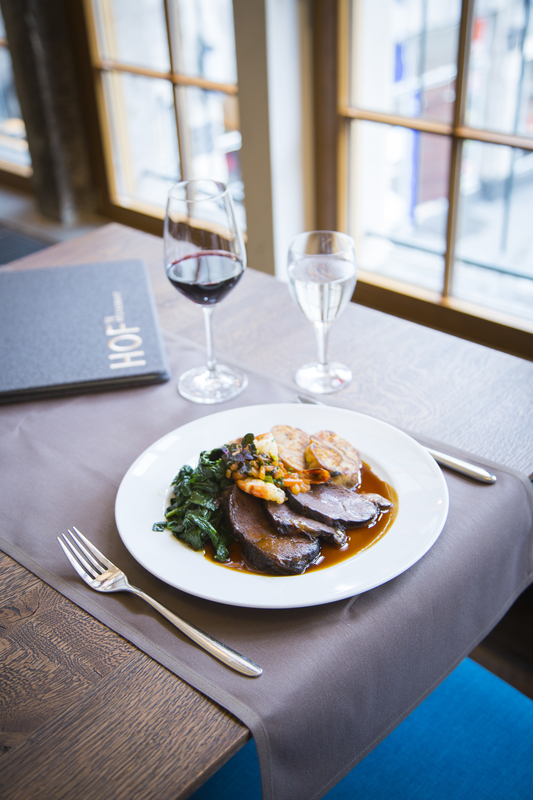 Our range of services is rounded off by our in-house catering service “cölncuisine”. 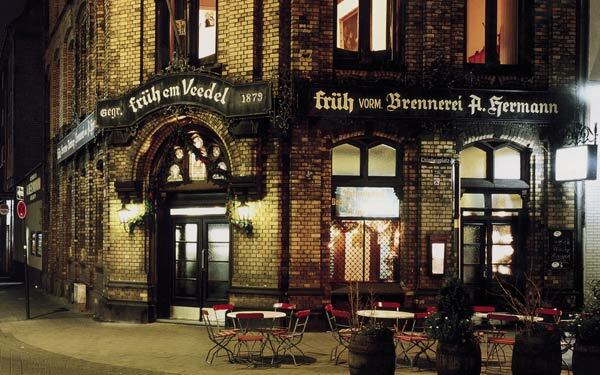 No Cologne local, nor any visitor, will just pass by the Brauhaus Früh am Dom. 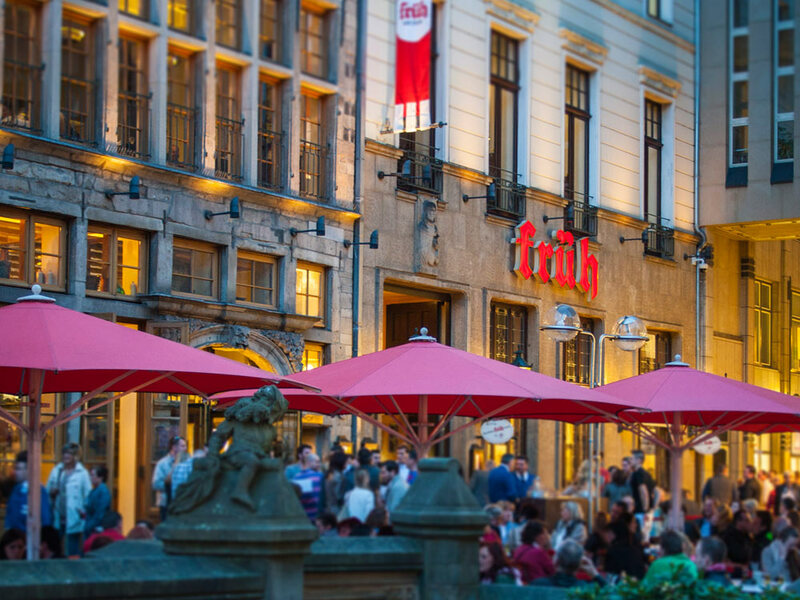 The welcoming facade of the brewery, the special atmosphere of the beer garden and the prime location directly in front of Cologne Cathedral are a guarantee for experiencing real Cologne life. 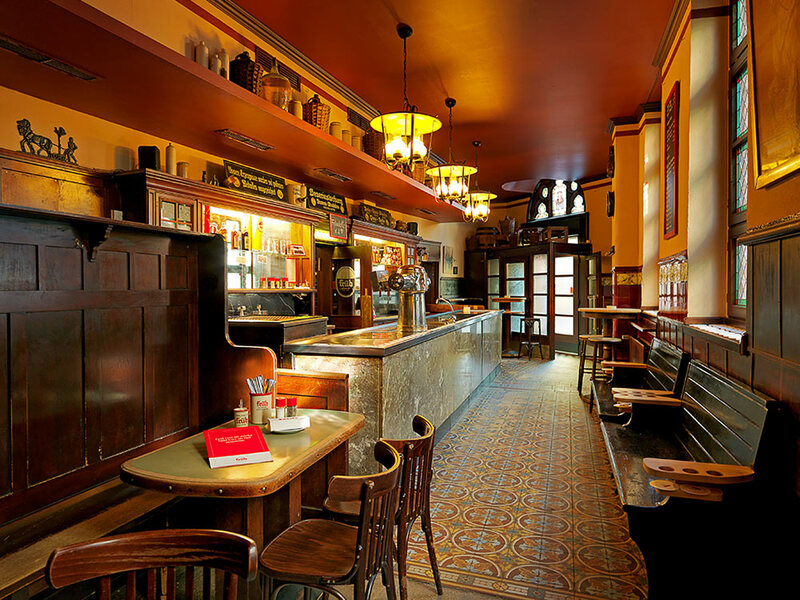 One can hardly enjoy a fresh draft of Kölsch in a more pleasant atmosphere! 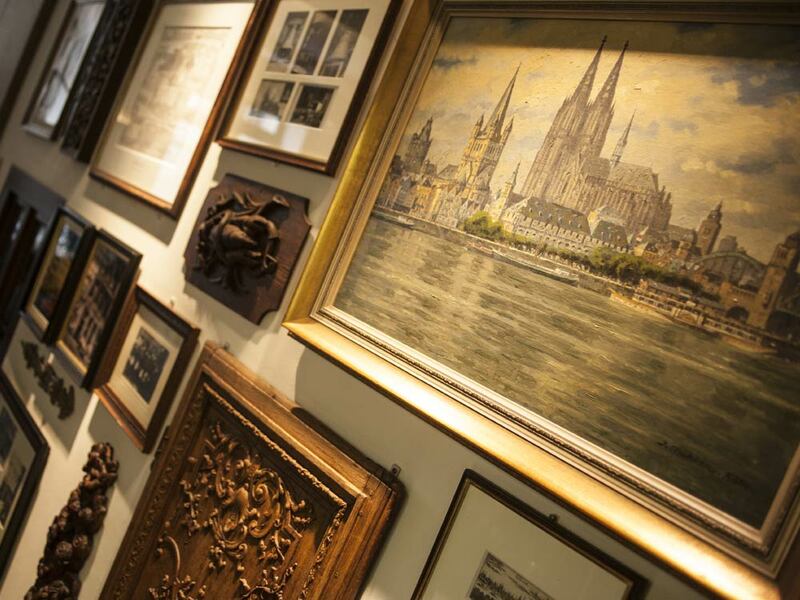 Discover not only the cosiness of the traditional Cologne brewery, but also many historical pictures and furnishings from over 100 years of FRÜH gastronomy history! 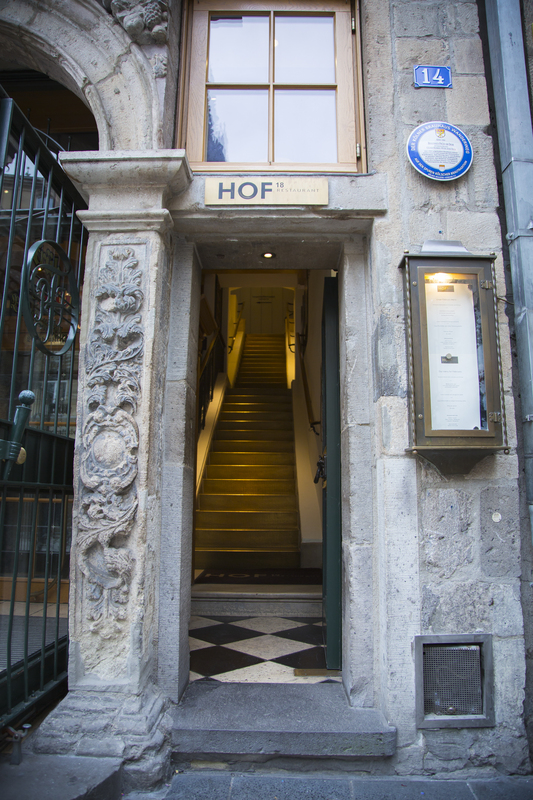 Far away from the hustle and bustle and the traditional cuisine at the Brauhaus, the HOF 18 Restaurant on the first floor shows itself in a modern and stylish setting. 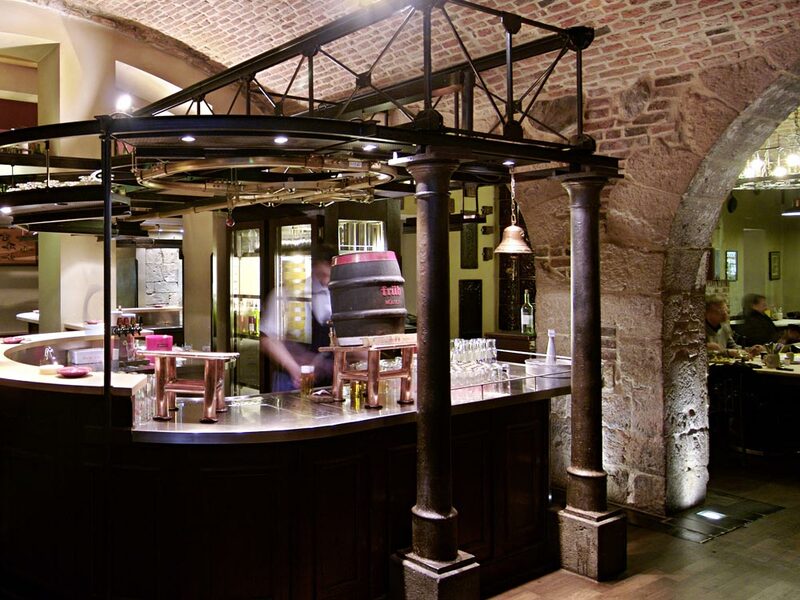 The culinary delights in the former living quarters of the founding family also are contemporary and multi-cultural. 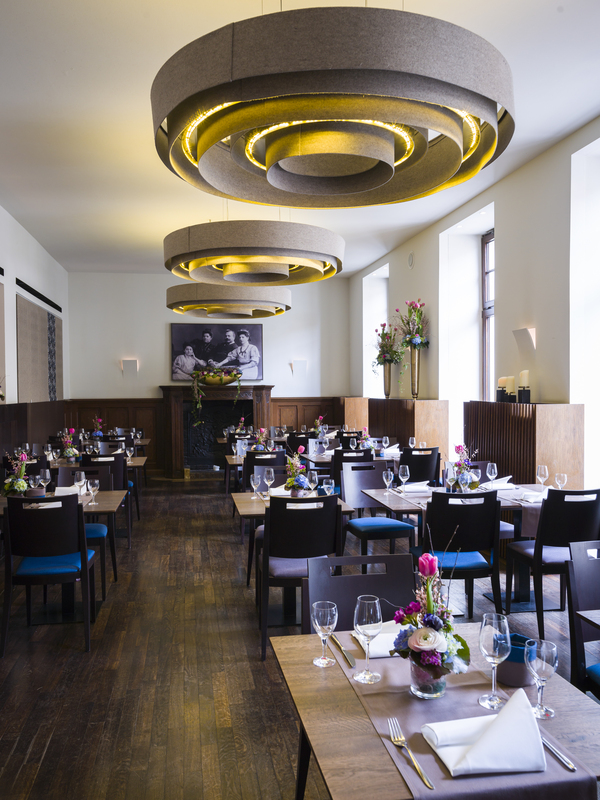 Here, Cologne cuisine is re-interpreted and skilfully combined with influences from all over the world. 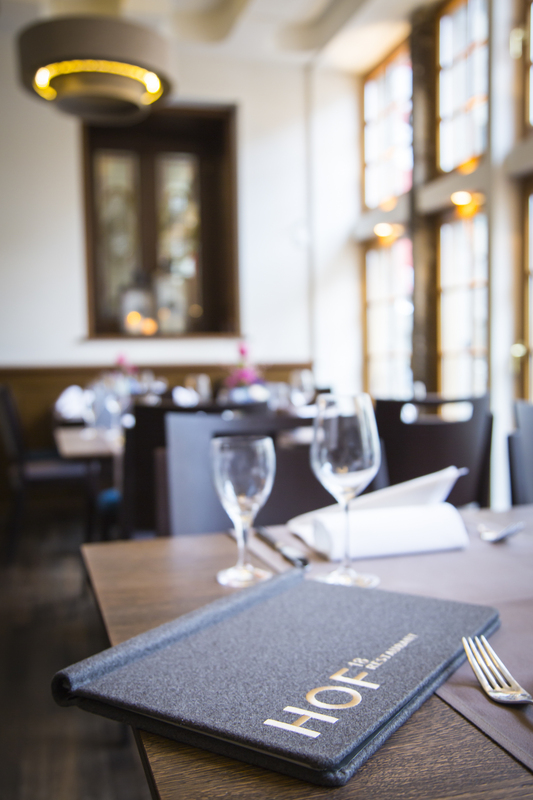 The peaceful atmosphere is ideal for spending some time with friends and family, or for a business dinner. 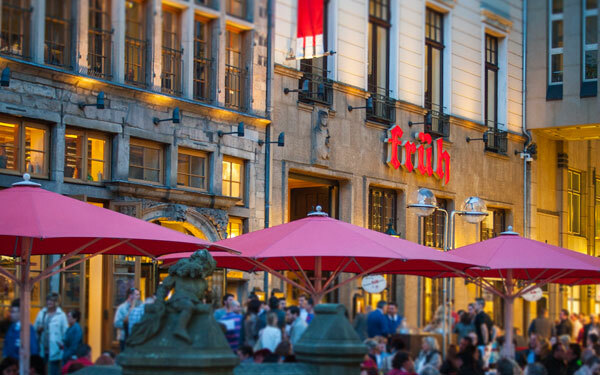 Enjoy the view of the cathedral, the fine food and fine wines or a freshly tapped glass of Früh Kölsch. 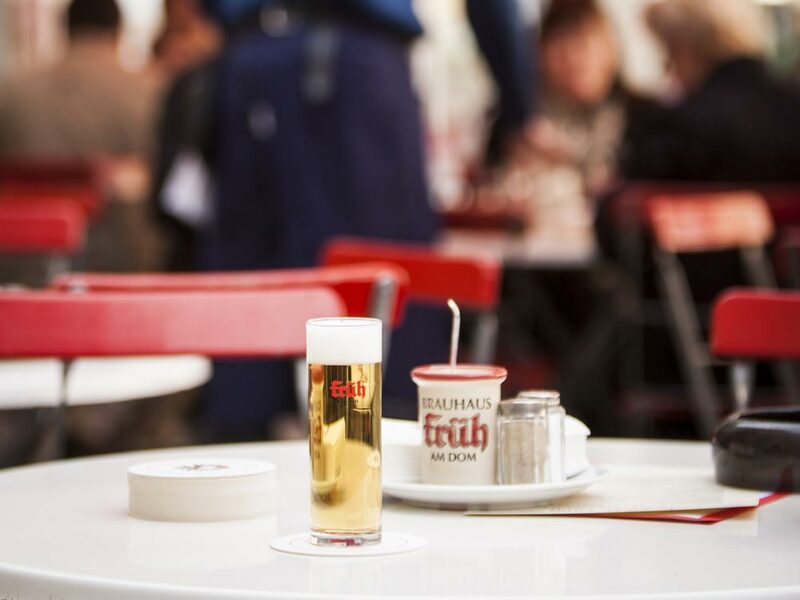 It's not only in the centre of Cologne where you can enjoy the traditional Rhineland dishes, a fresh draft of Kölsch and the hospitality of FRÜH gastronomy. 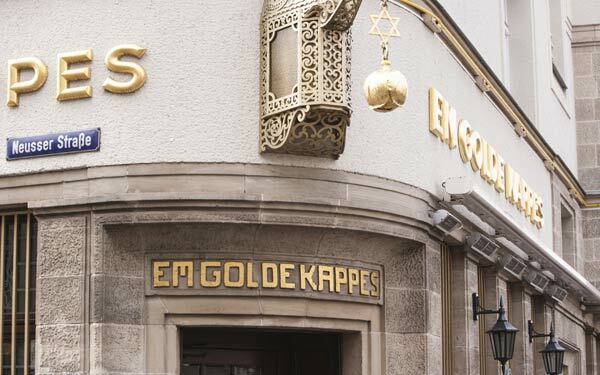 Our FRÜH “Em Golde Kappes” pub in Cologne-Nippes is an institution among local Cologne pubs. 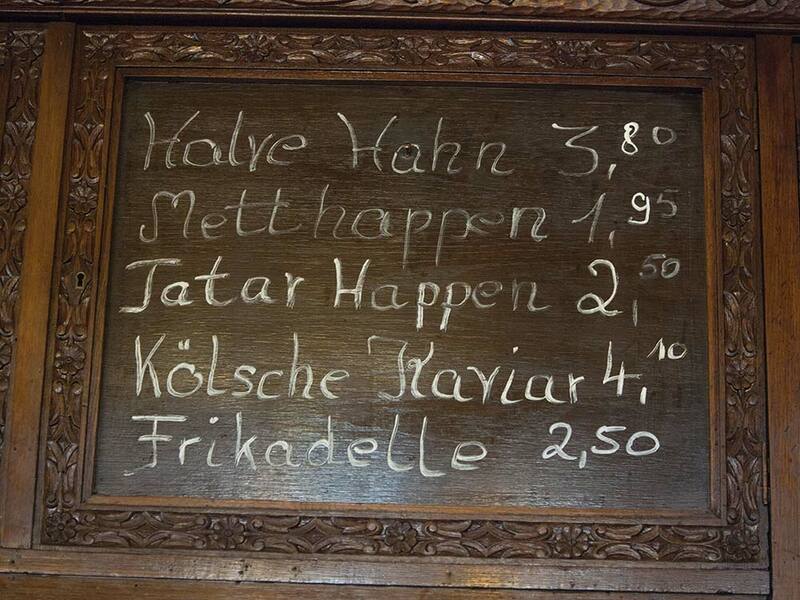 The traditional pub was opened in 1913 by Nippes publican Matthias Becker. 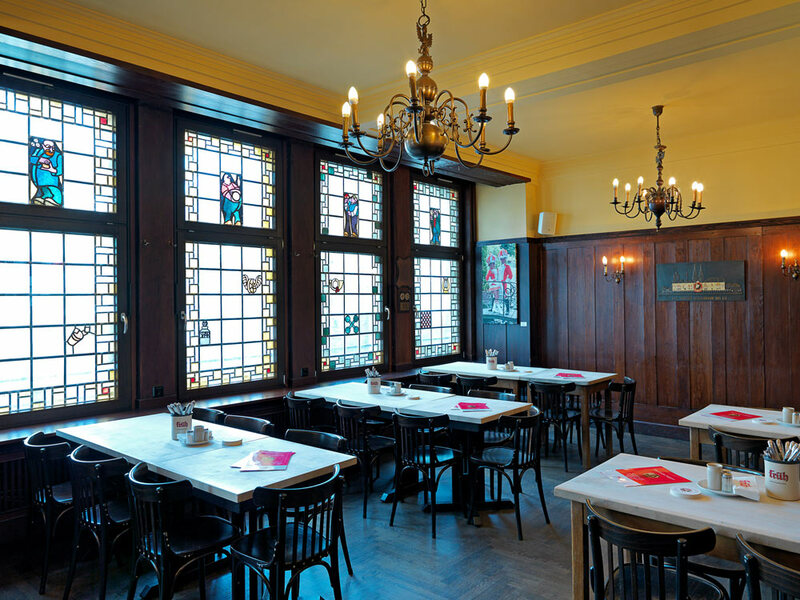 Since then, the pub, which has always been known as “Kneip op d'r Eck” (corner pub), has been an indispensible part of the Nippes gastronomy scene. 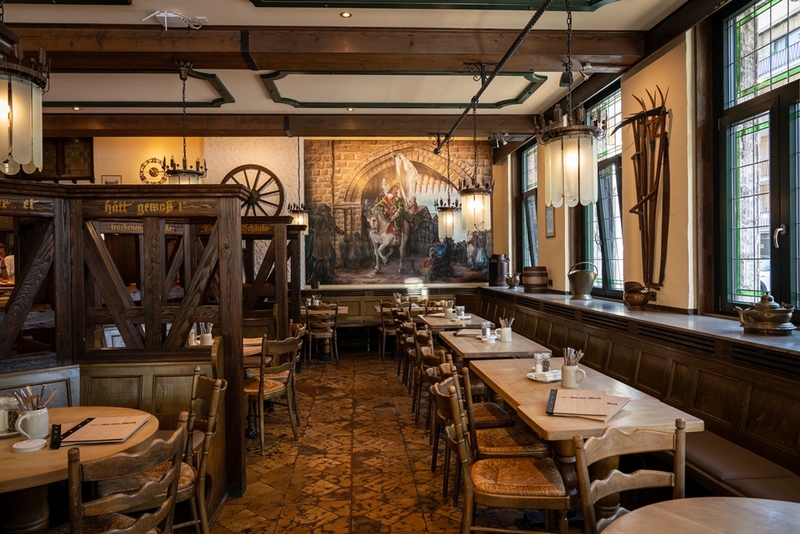 The restaurant has retained its rustic ambience despite extensive renovations in 2009. 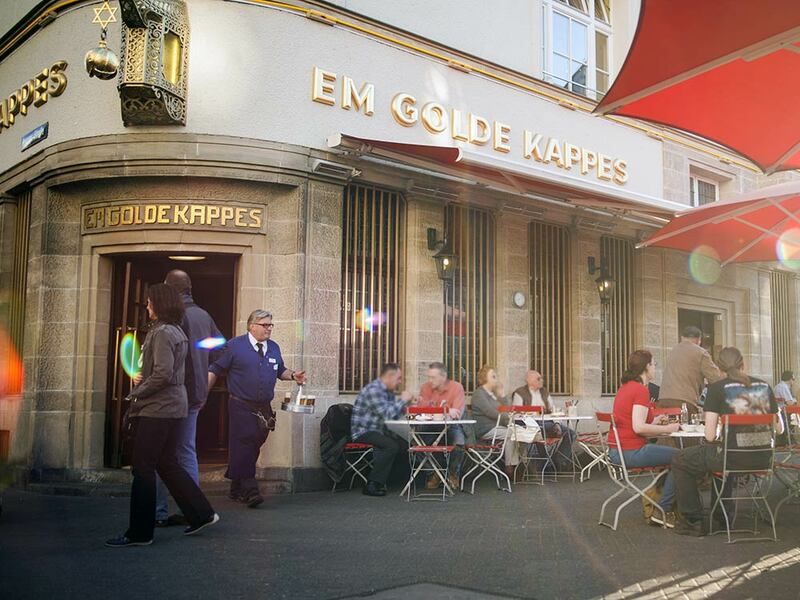 Today, the Nippes “natives” and many residents from other Cologne quarters meet there to toast each other with a glass of Kölsch. 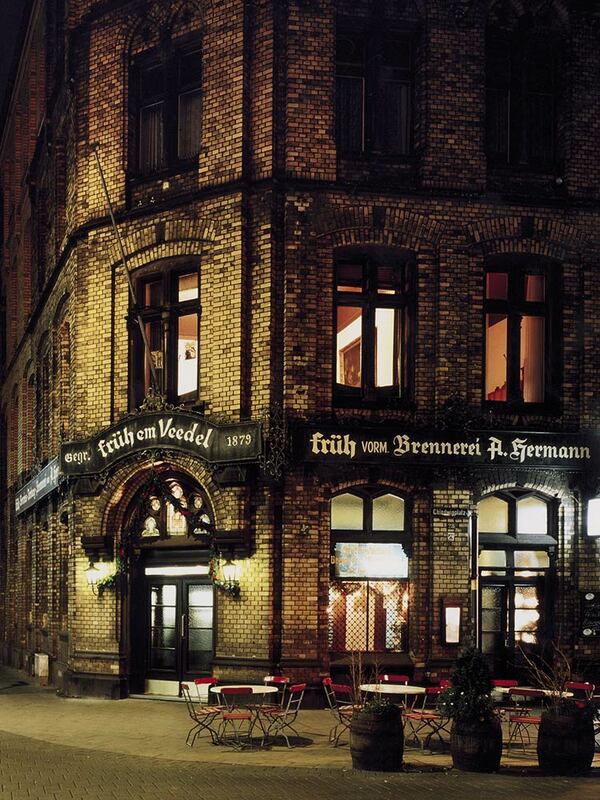 The gastronomic face of the Severin district is also characterized by the FRÜH “Em Veedel” pub. 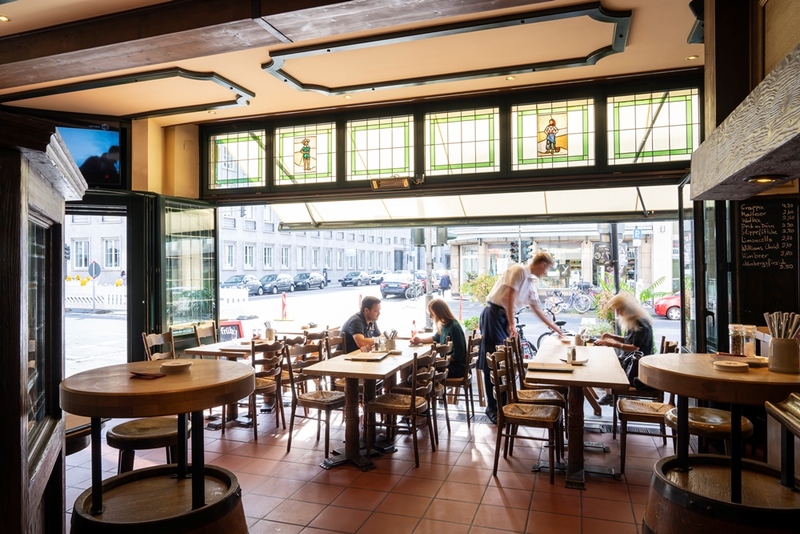 We have been operating the traditional pub right on Chlodwigplatz, which used to be the pub of the “Brennerei (distillery) A. Hermann”, since 1979. 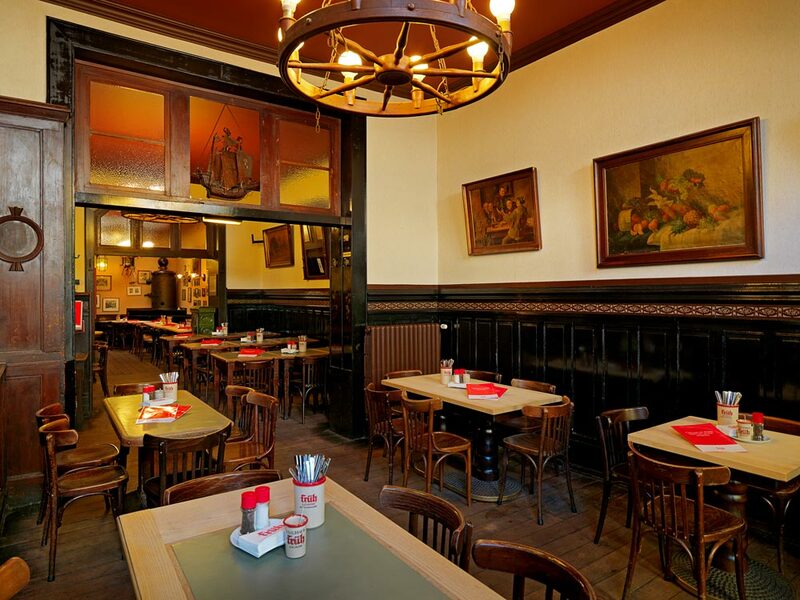 Here we serve traditional Brauhaus cuisine along with a fresh draft of Früh Kölsch. 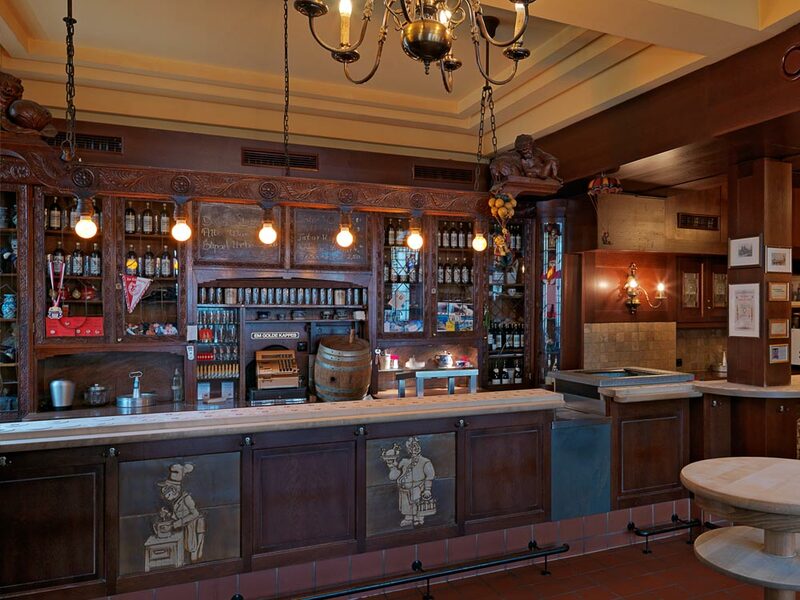 The original rustic ambiance invites you to stay a while for a toast with your friends. 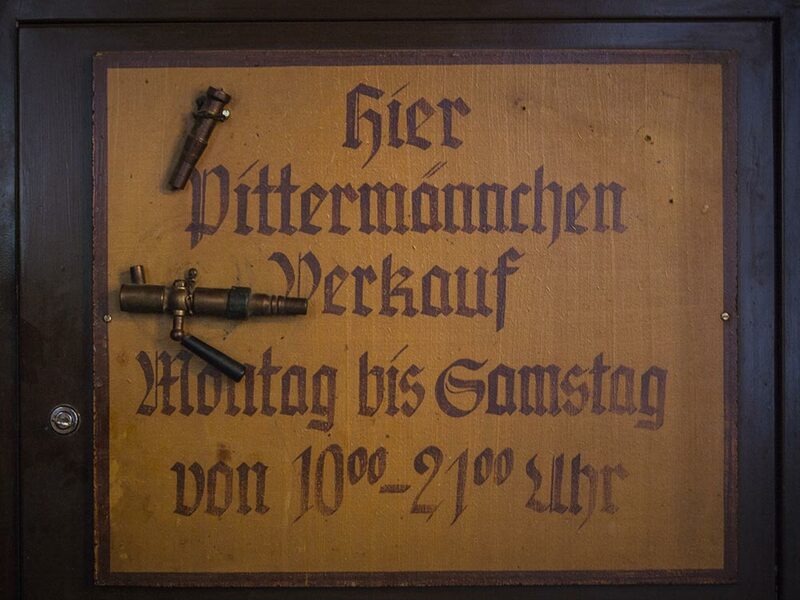 Keeping our traditions in mind, we still serve home-made spirits today as in the days of the Hermann distillery. 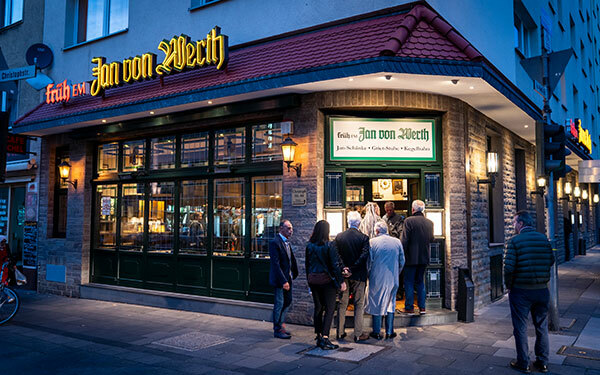 The traditional tavern “Jan von Werth” belongs to the FRÜH family since September 2018. 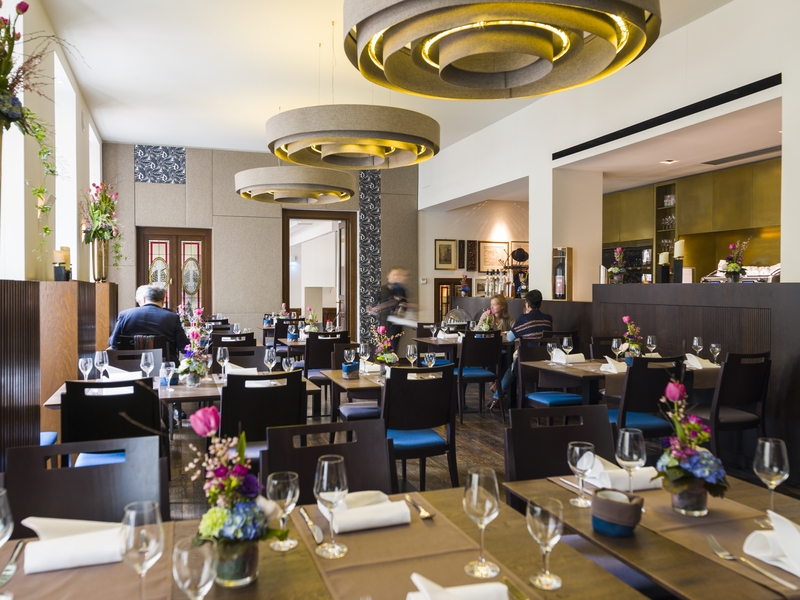 From a good and solid stew, to fried black pudding and boiled knuckle of pork – all dishes are freshly prepared according to the established recipes of the FRÜH gastronomy by our executive chef Siegfried Schenker and his team. 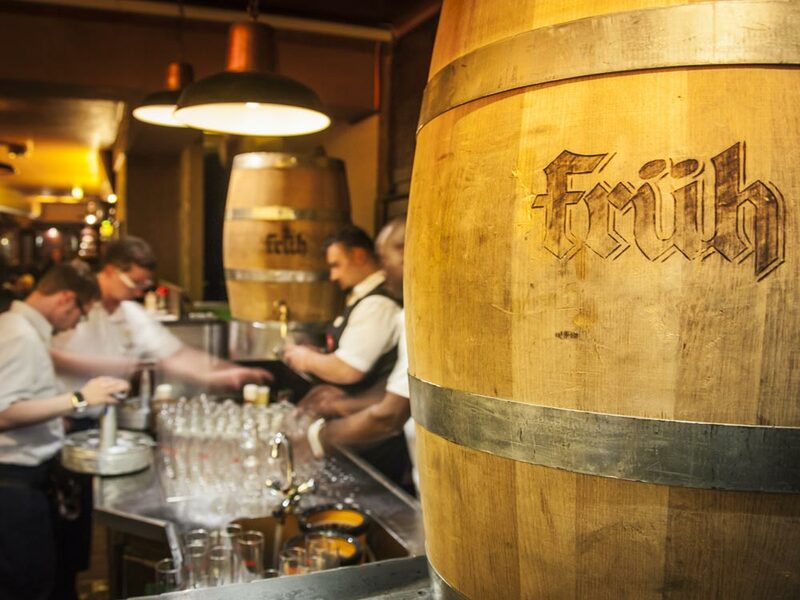 A freshly tapped glass of FRÜH Kölsch belongs to traditional Brauhaus cuisine, as well as non-alcoholic “FRÜH Sport” (kind of root beer) during your lunch break. 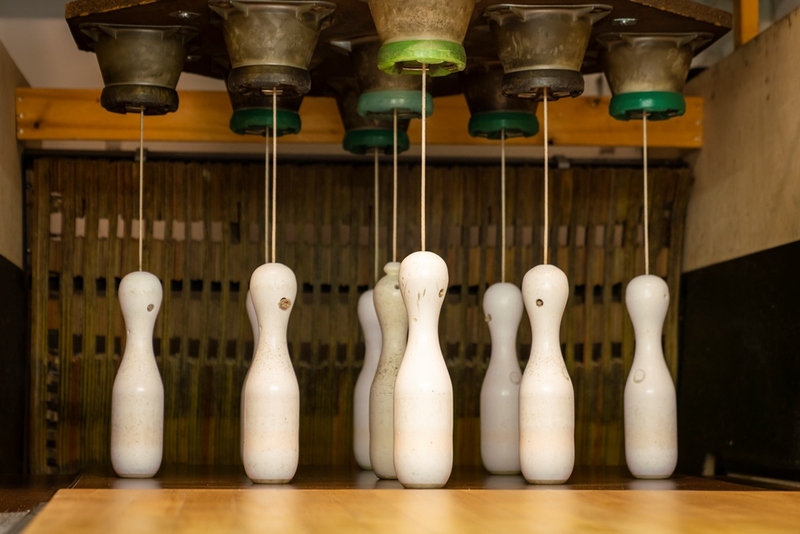 Enjoy our traditional skittle alley with your friends – an iconic amusement for the young and the young at heart.  you and your guests with a great variety of buffets or menus wherever you like.